This little guide is both deep and do-able. 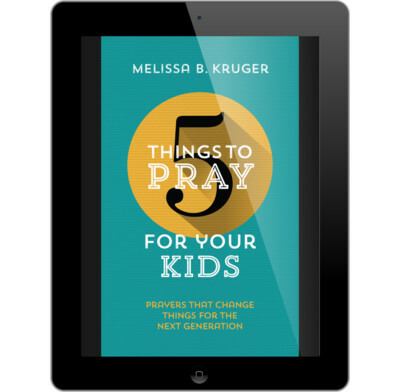 Melissa Kruger helps us step out of the busyness of family life and pray for our children's spiritual growth and character development in 21 key areas. For each chapter, there are five short prayer prompts drawn straight from the Bible. Because when we pray in line with God's priorities as found in his word, our prayers are powerful and effective (James 5 v 16)—and that's a truly thrilling prospect. Use this book in any number of ways: work through it as part of your daily quiet time, or pick it up whenever a particular need arises. It will help you to pray meaningfully for your child, grandchild, godchild, or kids in your church—from tots to teens, and every age in between.